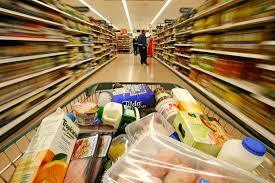 Explore the many dining and shopping options at The Landing at Tradition and Tradition Village Center. Over 50 choices including: Target, Old Navy, TJ Maxx, PetSmart, LA Fitness, Sports Authority, Olive Garden, Longhorn Steakhouse and Bagel Brothers. See the website for a complete list. Vero Beach Outlets features an impressive and growing collection of more than 60 leading designer and brand names where shoppers enjoy savings up to 65 percent off regular retail prices every day. Visit us today to shop your favorites including Banana Republic Factory Store, Gap Outlet, Coach Outlet, J.Crew Factory Store, Polo Ralph Lauren Factory Store and Nike Factory Store along with Restoration Hardware Outlet and Williams-Sonoma Outlet, among many more! And, while exploring our website, don’t forget to join our VIP Savings Club to receive additional saving opportunities along with advance special event announcements reserved exclusively for our members. Treasure Coast Square is an indoor mall with an exterior Lifestyle Center that is conveniently located at the intersection of NW Federal Hwy & Jensen Beach Blvd. 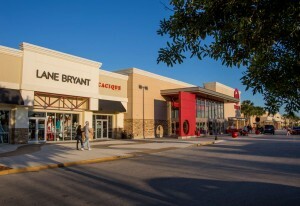 Among the over 120 stores Treasure Coast Square features Macy’s, Dillard’s, Old Navy, Victoria’s Secret, Express, Francesca’s Collections and many more. 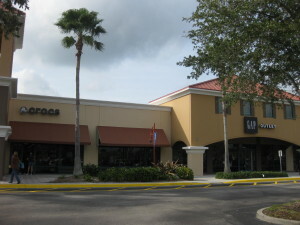 Treasure Coast Square serves the nearby communities of Port St. Lucie, Jensen Beach and Stuart. While at Treasure Coast Square you can also watch the latest movies at the Regal 16 Cinemas theater complex where every theater features stadium seating and digital surround sound, consider making it dinner & a movie by enjoying a sit down dinner at Ruby Tuesday or at one of our grab & go choices such as Chik-Fil-A or Subway. Stock up your refrigerator to enjoy all of the amenities of your spacious kitchen. Port St. Lucie offers many choices nearby.